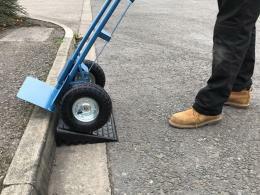 What is the purpose of the Budget Sack Truck and Kerb Ramp Bundle? The Sack Trolley is the perfect product to easily move large items that you cannot carry on your own. Additionally, it is great for stacking boxes or other items to cut down on your trips to and from the truck. 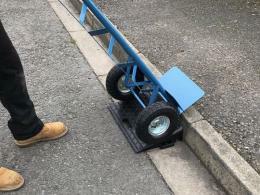 In this bundle, a ramp is included, making it effortless to get the sack truck over curbs and other barriers. Where can this Sack Trolley be used? The Budget Sack Truck can be used anywhere where transporting heavy goods or items is necessary. Great in warehouses and stock rooms, this product makes moving large items a breeze. Who might use this Trolley? This two wheeled trolley is extremely easy to use, so it can be used by almost anyone who has to move anything. Great for stock rooms in warehouses and any type of store, these budget sack trucks make getting products to the floor an easy event. 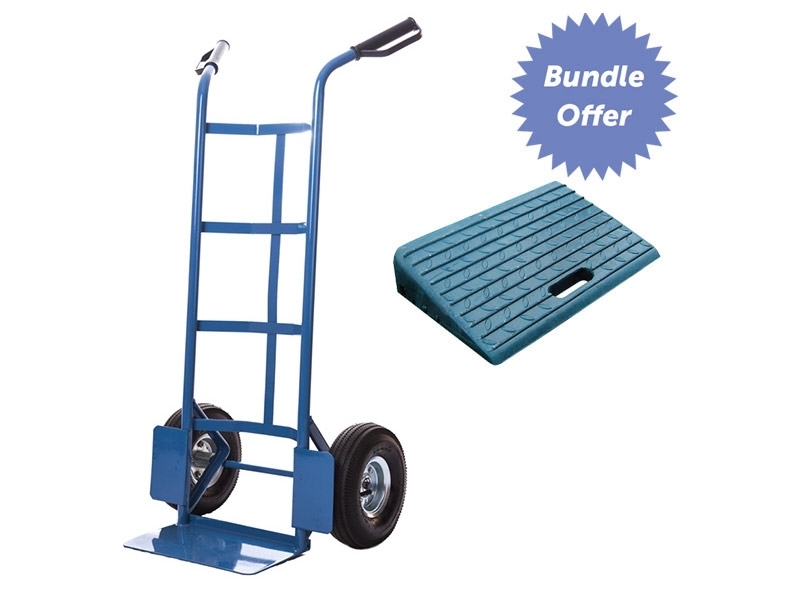 The Budget Sack Truck and Kerb Ramp Bundle can be used in conjunction with each other to easily unload cards and trucks and easily get items up and over curbs without worry of dropping or spilling them. The sack truck has a capacity of up to 200kg and is easily manoeuvrable with handles. 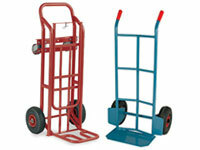 This sack trolley is eligible for next day delivery as long as orders are placed by 3pm. All orders that are going to mainland UK destinations come with free shipping. For added value, this product comes with a one-year parts and labour warranty, giving you a little extra peace of mind when you order. We are so confident that The Workplace Depot cannot be beat in price or service that if you find the exact product offered for a lower price anywhere else, we will gladly price match that number. If you are unsatisfied with your product for any reason, we will gladly issue a hassle-free refund and return the product.